British Prime Minister Theresa May has defended her post-Brexit trade plan that sparked Cabinet resignations, saying it is the only way to avoid a hard border with Ireland. What can the UK do now after Russia is linked to spy attack? British Prime Minister Theresa May says Russia will be hit by "extensive" retaliatory measures if Moscow doesn't explain by midnight Tuesday how a Russian-made nerve agent came to poison a former spy in the UK. Britain will respond "appropriately and robustly" if Russia's involvement is established in the case of an ex-Russian spy who became critically ill after coming into contact with an "unknown substance" in southern England, the U.K. foreign secretary said today. The United States and Britain on Sunday acknowledged the Western world's weak support for any military action against Syria's government. 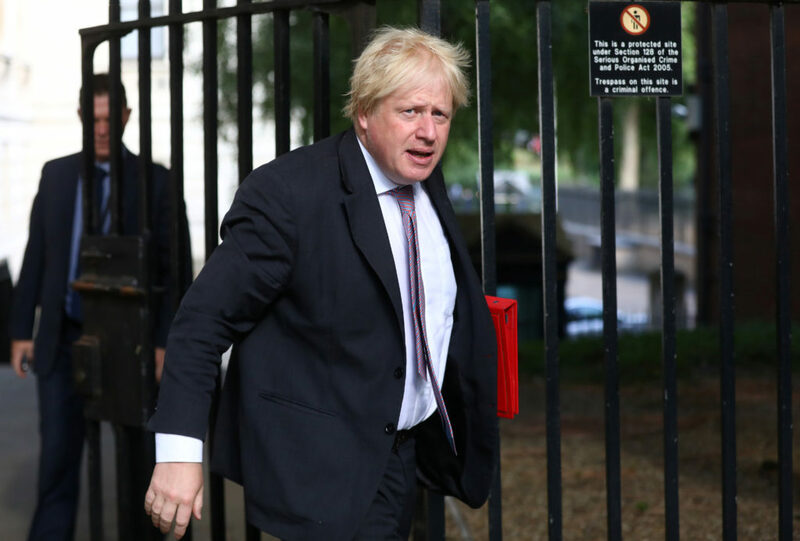 Boris Johnson, who was expected to be a leading candidate for prime minister of the United Kingdom following the contentious Brexit vote announced Thursday that he will not seek the office.